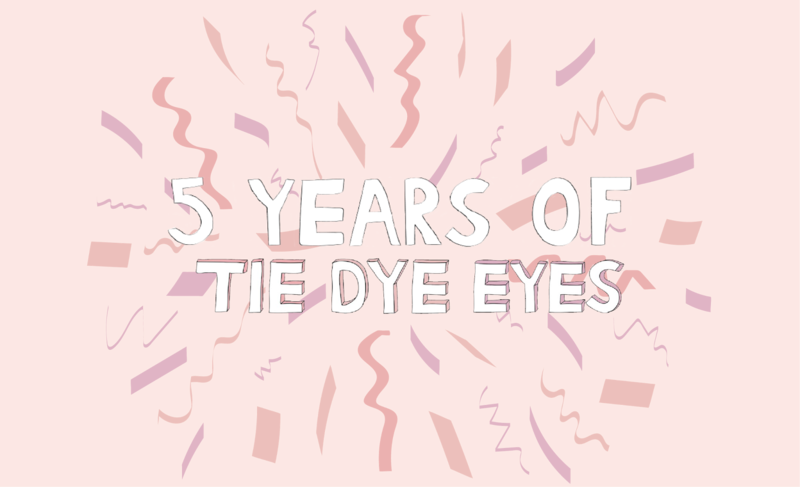 This Monday just gone marks five years of Tie Dye Eyes. Five whole years of blogging. On 14th August 2012, I decided to bite the bullet and just start a blog, which meant asking my Dad to take a picture of me in my outfit in the back garden of my parents' house. He thought it was a bit strange, but whatever, he did it, and I headed to blogger.com and pondered over a name. I googled 'best fashion blog names' for inspiration, with fashion toast, the blonde salad and susie bubble the most popular choices. I didn't want to be too cliché but nothing too weird that I'd hate in a year's time. Eventually, I settled on Tie Dye Eyes; it had a fleeting reference to fashion and was unique to me and my multicoloured eyes. And it's all uphill from there. Personally, I don't remember this part, but apparently my best friend Beth came to visit on that day and I was sat in the dining room of my mum and dad's house with my old Samsung laptop showing her my first blog post as I was about to hit publish. It was called 'plain - just like the weather!' (clearly I had no knowledge of SEO at this point) and featured an overexposed outfit of my primark based outfit and jazzy nail art which I seemed to be obsessed with at the time. If you really want to, you can click here to see my first blog post. Started from the bottom and all that. As the years went on, I dabbled in some questionable outfits, did fun photoshoots in London, went to my first blog event, took you on my journey of finishing school (see my prom post!) and moving to Manchester and interning at London Fashion Week. Then, when my third year at university took hold, I took a break for 7 months. It's safe to say I missed it, but taking a break from blogging was the right choice for me, as I got to focus on uni and ended up with a first in my degree in International Fashion Promotion. Once that was over, I was back at it, and even better, there were a tonne more Liverpool bloggers in the mix, which meant me jumping into the Liverpool blogging community like I'd never left. Now, over a year later, I've almost finished my masters degree, I'm about to go travelling and have amazing friends for life that I've met through blogging. It's funny how much life can change in just a few years. These days, Tie Dye Eyes isn't just about fashion and sewing tutorials, there's now some travel, beauty and lifestyle posts in the mix, because as my life has changed, my blog has too. However fashion is still my favourite thing to write about, and is after all the reason I started this blog. If you take a long walk down memory lane through my outfit posts, you can see how my style has evolved over the years. My endless outfit posts also show how long my hair used to be and how adverse to eye and lip makeup I seemed to be.. I don't know about my fashion choices, but I can definitely say at least my makeup has improved over the years. Out of the 235 outfit posts published on this blog to date, these ones might just be my favourite.. If you have any favourites of your own, I would absolutely love to know! It's pretty fun looking back at old posts, seeing not only what I wore at the time but where I was, who I was friends with, what I was doing.. Life changes all the time, and it's not until you stop to look back that you realise how much has changed in five years. 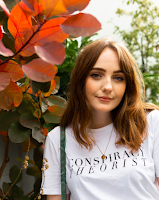 When I'm older, it will be fun to look back at my blog and remember all the memories attached to each post, whether it be an outfit I wore to a school friend's 18th, an outfit I wore for an important interview (remember when I almost moved to London? ), or an event where I met some of the best friends you could ever have. I'm extremely proud of my blog, and to be honest, I'm proud of myself for sticking at it for five years. As so much has changed, my blog has always been there, no matter what. I've used it as a creative outlet, a portfolio, a place to meet new people and as a bit of a diary. I've always felt proud of my blog, but over the past year, this feeling has got even stronger. I've worked hard at it, I finally bought my own domain, I've made money off it (yay! ), and not to mention, I've made incredible friends from it. I'm not just talking about the Liverpool blogging community here either, I'm talking about you guys. I know I'm terrible at replying to comments sometimes, but I read each and every one, and I recognise the names and whether I know your face or not, I consider you a friend. Whether you've been here since 2012 or since this evening, thank you for stopping by. I love you. Congratulations on having your five year Blogiversary!!! That was a fab first post just over five years ago (I did follow the link to your first TIE DYE EYES blog post - I like the peace symbol bracelet, the "LOVE" pendant, your nail art and your outfit in that first TIE DYE EYES blog post. Your 12 second video below - it's great. I like the rest of the videos you've uploaded on your YouTube channel as well. Kudos again on your 5 years of excellent blogging, and best for this sixth year!!! 5 years! and still your loveliness goes on and on.